This is your chance to learn how to search like a librarian! 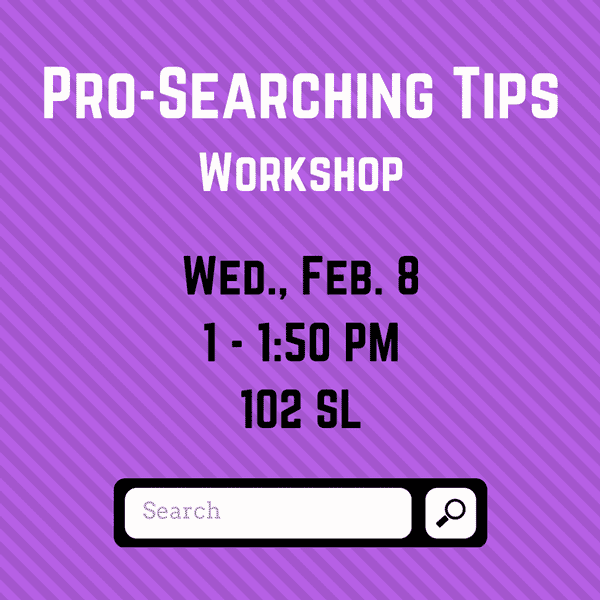 Bring your questions and learn how to save time and effort by applying some simple search strategies. You’ll learn how to improve your search results, which resources are the best bets for different types of information, and how to refine your results when you get overwhelmed. And you’ll learn how to evaluate the quality of the information you find, no matter where you find it. Our workshops are open to everyone and there is no need to register. If you’re interested, but unable to attend this workshop, private appointments and webinars are available. Contact Sara Scheib for more information. Individuals with disabilities are encouraged to attend all University of Iowa–sponsored events. If you are a person with a disability who requires a reasonable accommodation in order to participate in this program, please contact Sara Scheib in advance at sara-scheib@uiowa.edu. Before you go out and buy anything, check the library catalog to see if we have it. If we don’t (and you think we should) you can recommend a purchase and we’ll add it to our collection! Missing Mascot Mug Giveaway – Our mascot, Chauncey, is missing! 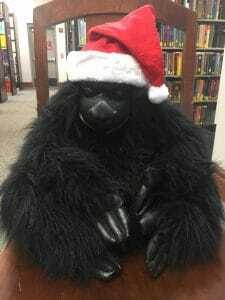 Find him in the Library, bring him to the service desk, and win a free Sciences Library travel mug (while supplies last)! Legos, K’Nex, and coloring – Take a study break and relax with building games and coloring pages/crayons! Free coffee, tea, and treats – We always put out free coffee and tea to help fuel your studies, but Finals Week is special, so we have treats too! Pam is making her famous mini brownies! We’ll be open from 8:30 a.m. – 10 p.m., Monday through Thursday, and 8:30 a.m. – 5 p.m. on Friday. Join us! Join us at the Sciences Library for our Spring 2016 workshops! Are you starting a new research paper or project and looking for a way to manage your references? Then join us for this useful and informative workshop about EndNote, a citation management tool available for free to UI students, faculty, and staff. In this workshop you will learn to use EndNote to import references from popular databases, organize and share your references, use tools to automatically format in-text citations and bibliographies, and use Microsoft Word add-ons to include pre-formatted citations in your paper. Are you confused about funding agencies’ new data management and sharing policies? Or do you need some help managing your research data? You’re not alone and we can help! 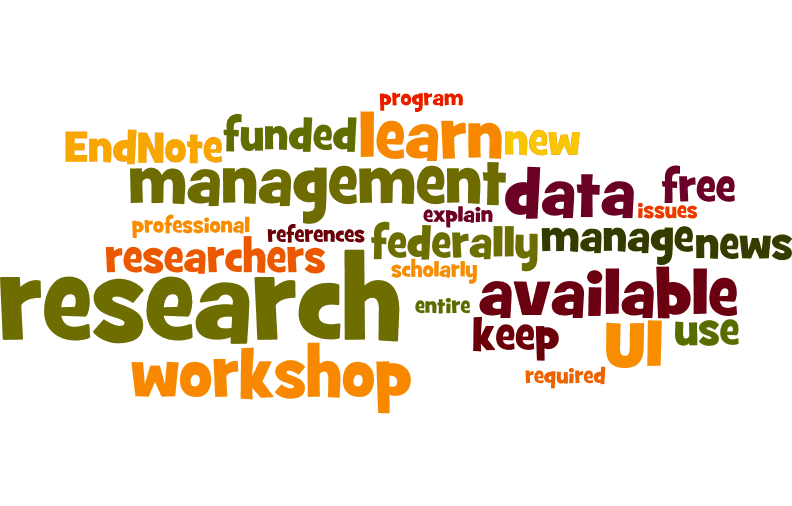 The purpose of this workshop is to explain research data management and its importance, help identify some common data management issues, and learn about best practices and resources that are available. Many funding agencies now require a data management plan as part of the proposal. Even when it’s not required, a data management plan can be a useful tool for any research project. In this workshop, you will learn how to write a data management plan in compliance with funding agency requirements and about the tools and resources available to help you along the way. Mendeley Reference Manager is a popular tool used to save, organize, and cite references from journals, books, and other sources. In this workshop, you will learn how to use Mendeley for your research and writing. These workshops are open to all UI students, faculty, and staff. There is no need to register. If you have any questions, or if you’d like to request a session for your class or group, please contact Sara Scheib. Join us at the Sciences Library for our Fall 2015 workshops! Follow the links for descriptions and other details. These workshops are open to all UI students, faculty and staff. There is no need to register, unless otherwise indicated. If you have any questions, or if you’d like to request a workshop for your class or group, please contact Sara Scheib at sara-scheib@uiowa.edu or (319) 335-3024. Games, popcorn, cotton candy and drinks! Apple Pi Day 3.14159265359 bites are coming to the Sciences Library on Fri March 13, 8:30 until they are gone. We will also be providing coffee and tea. So come and join us and see what Pi Bites are all about. 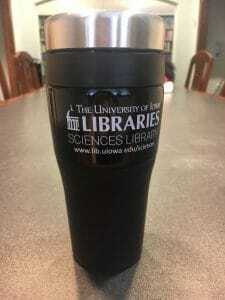 Excellent news at the Sciences Library! 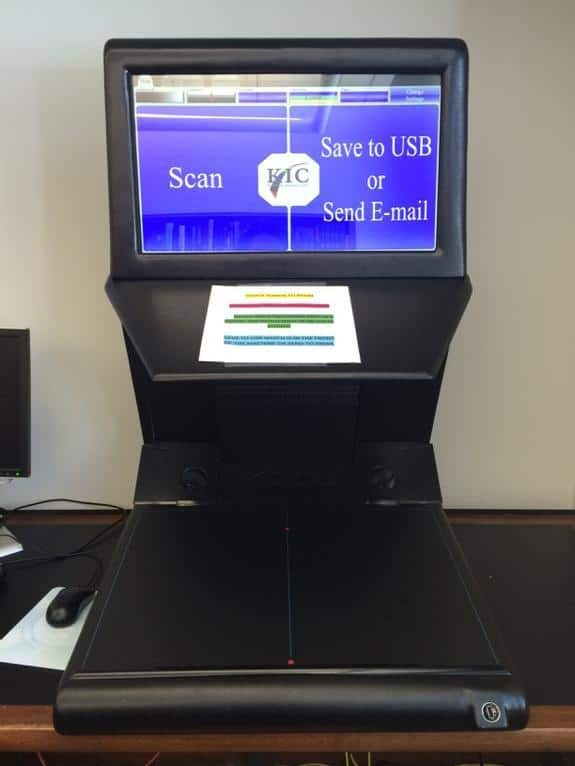 We have a brand new open face color scanner. Want to know more? Come in and contact us! Try it out soon! 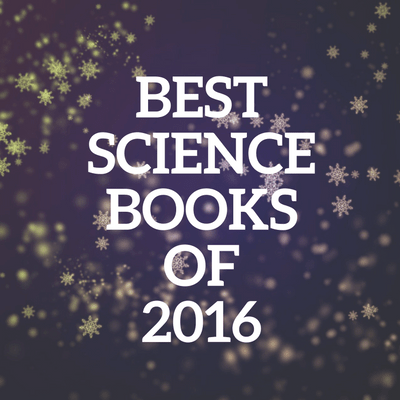 How do you keep up with the news and research in your field? Would you like to learn how to use technology to find new information for you? Join us for a Staying Current workshop and learn how to use RSS feeds and other alert options to keep up with blog posts, news and scholarly articles. Facebook, Twitter, Instagram, YouTube… The options for sharing your life online seem to be endless. But in this age of social media, maintaining privacy is increasingly challenging. Join Kelly McElroy, Undergraduate Services Librarian, and Sara Scheib, Sciences Research & Instruction Librarian for a discussion of privacy in the social media age. Share your strategies for managing privacy online and learn from others in this informal and open workshop. This workshop is free and open to all UI students, faculty and staff. There is no need to register. You may bring your lunch if desired. Free coffee will be provided. If you have any questions, please contact Sara Scheib at sara-scheib@uiowa.edu or (319) 335-3024.